Make sure your car coolants are in right proportion unless they may create overheating. Remember to check leaks in the system or install new coolant before first freeze. 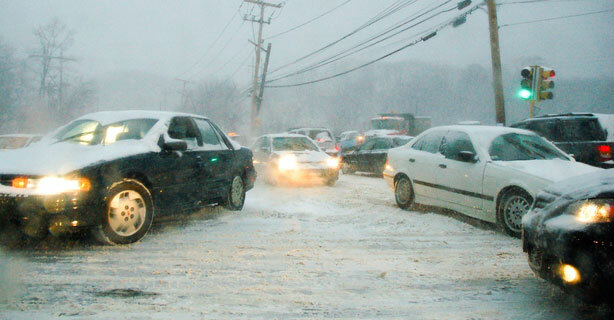 Extreme cold weather puts exceptional demands on electrical system of your car. So check the electrical system of your car, especially the charging and battery arrangement. Make sure your car tires have enough treads. If they are worn then consider replacing them with snow tires. These tires are especially designed for winter driving as they provide enough traction and they are also well equipped to overcome extreme winter conditions. Make sure the rear and front lights of your car are working properly, especially the flashing hazard lights. Road salt used during winter season may damage color of your car. So a coating of wax will definitely help in avoiding corrosion and let your vehicle look like a new one. Remember to check the car oils at regular intervals. Consider switching to winter weight oil as ordinary oil may create trouble during the winter. Install the wiper blades especially designed for winter season to cut through ice and snow. Ordinary wiper blades will fail to clear the snow from glasses properly. An entire vehicle inspection before the season change is a wise way to avoid any inconvenience in driving and unexpected cost of emergency repairs. Following above suggestions will definitely help you to prepare for winter car driving.